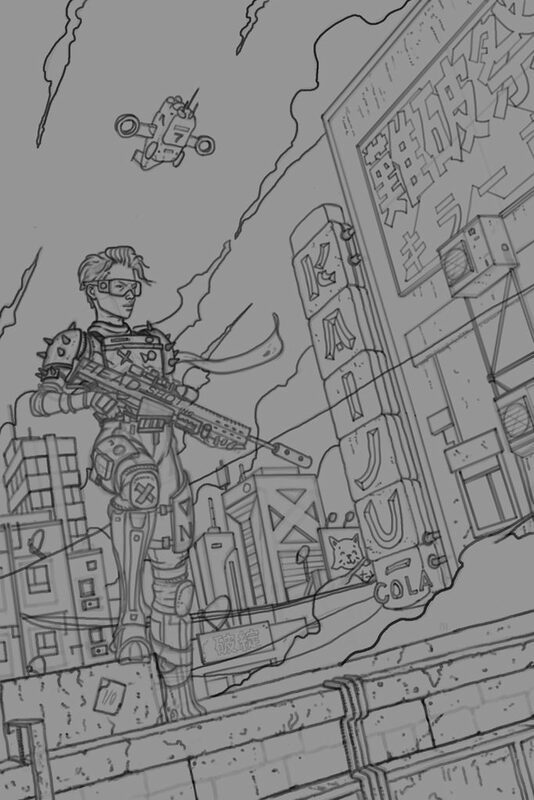 Been very busy these past few months working away on the artwork for Killtopia. Pretty overwhelmed by how well things have been going with the project ever since we launched the project back in February. 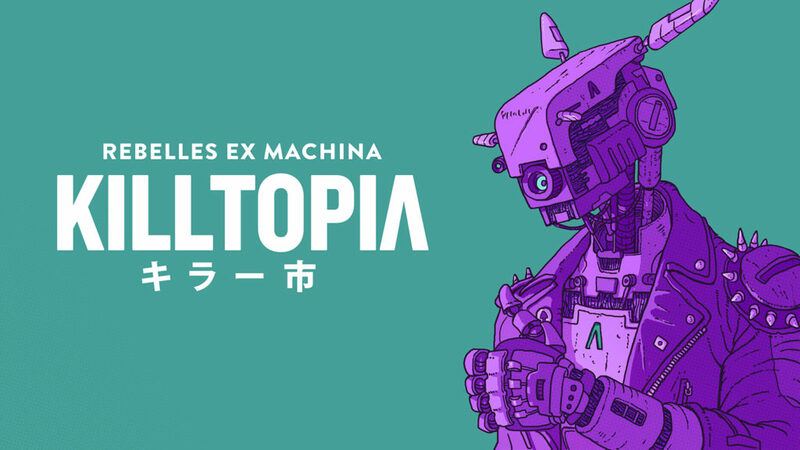 As well as the phenomenal success of the Kickstarter (making over 400% of its original goal) Killtopia has since been picked up by publishers BHP Comics for UK wide distribution. 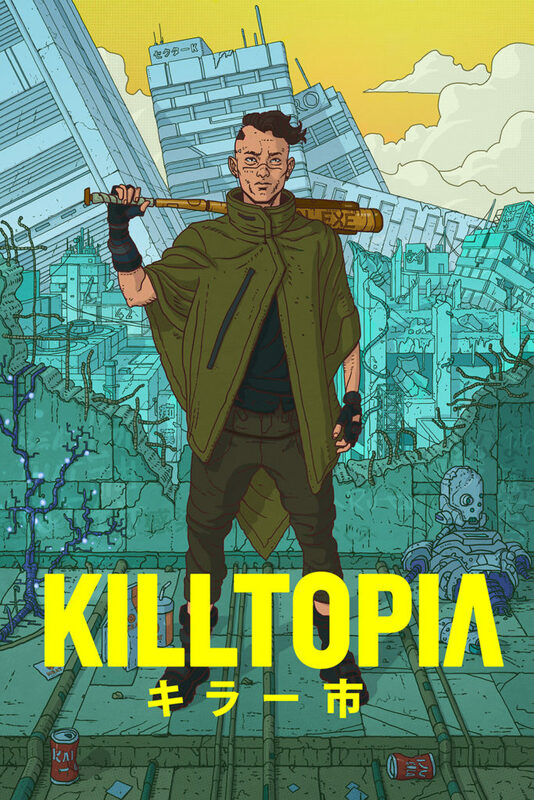 Issues of Killtopia will be going out to backers and in stores to buy in October. 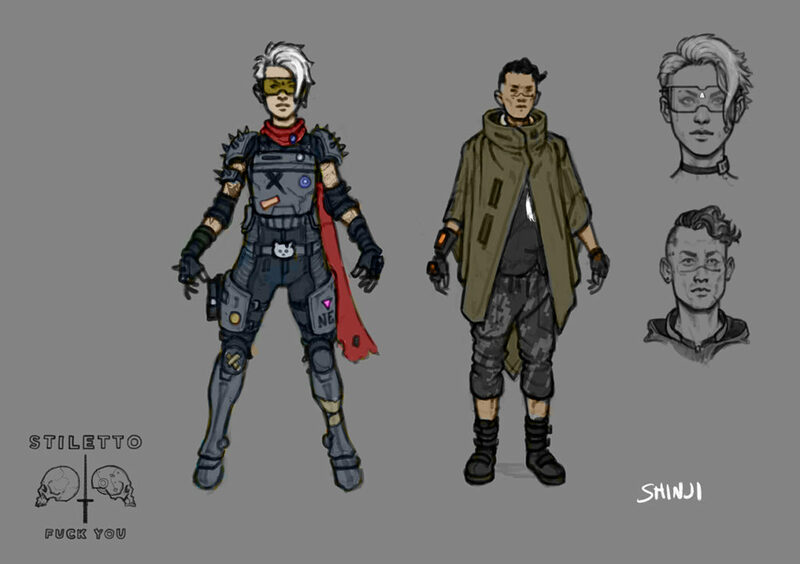 The following is from an article I wrote as a Kickstarter update sharing some of the concept art and some of my process thoughts from Killtopia. Hey guys, Craig here. 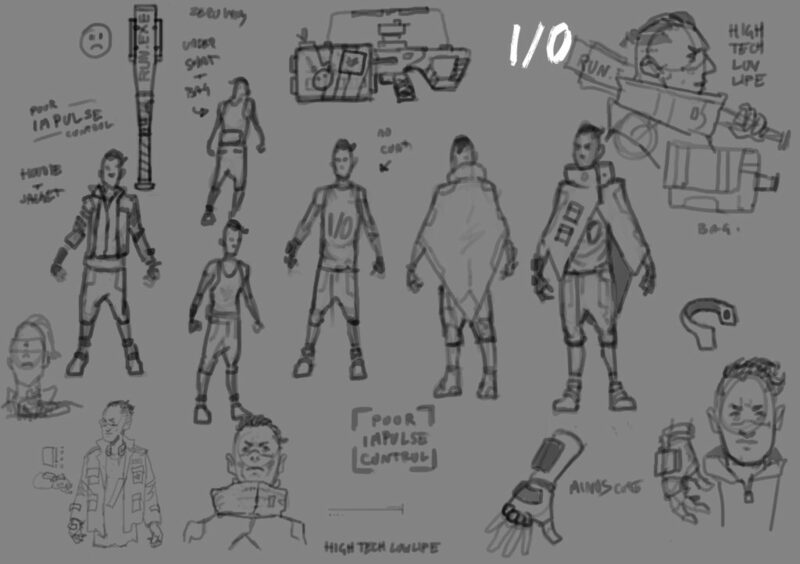 I thought I might share with you some of my sketches and concept art beind the character design of our main characters in Killtopia. I take the view that character design is almost like a form of story telling, where a single image of a character tells the viewer a bit about this characters life, history and personality. So I often try to use clothing, expression, pose and adornments as little visual shortcuts that hopefully give you little more info about who these characters are and the goals they have. 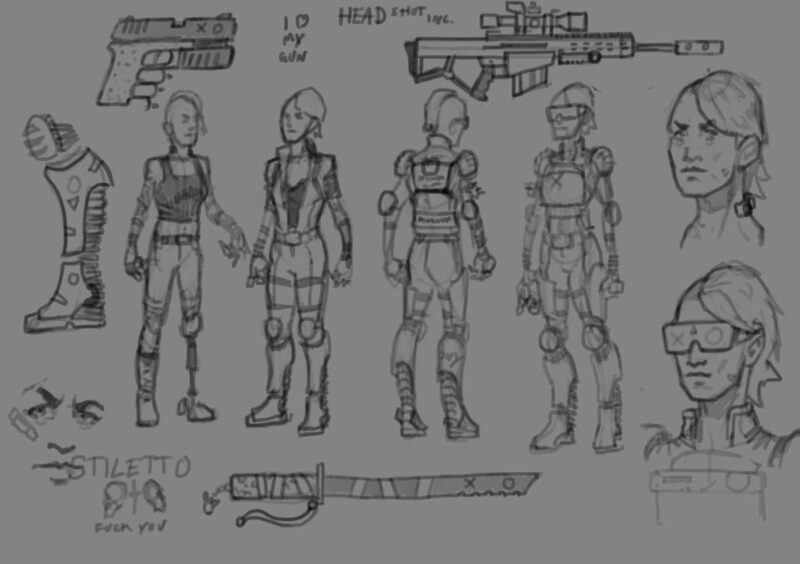 These are some of my earliest sketches of Shinji, Stiletto and Crash. At this point I’m just doodling down every mental image I have of the characters, and every idea that comes to mind. I doodle a lot, so there are quite a lot of these. I fill page after page of weird doodles like these every day. 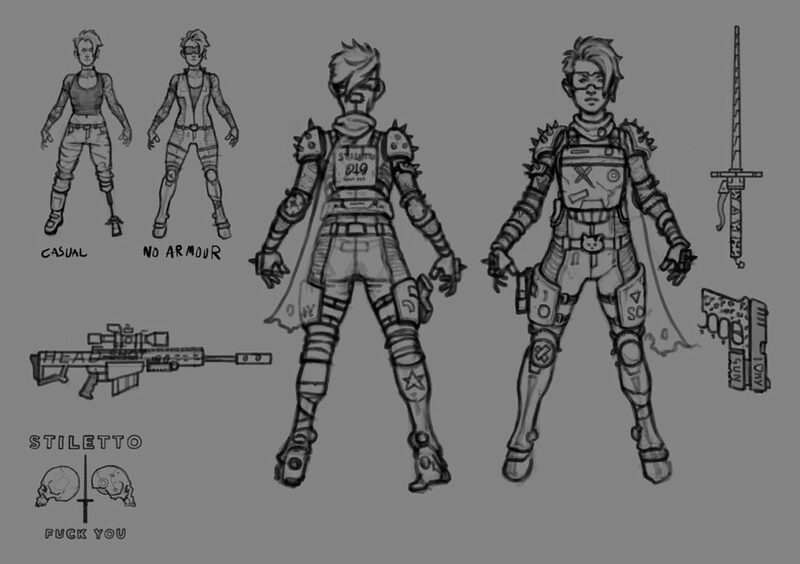 Keeping going with the sketching and doodling until I have a good clear idea I can run with and develop into something more. 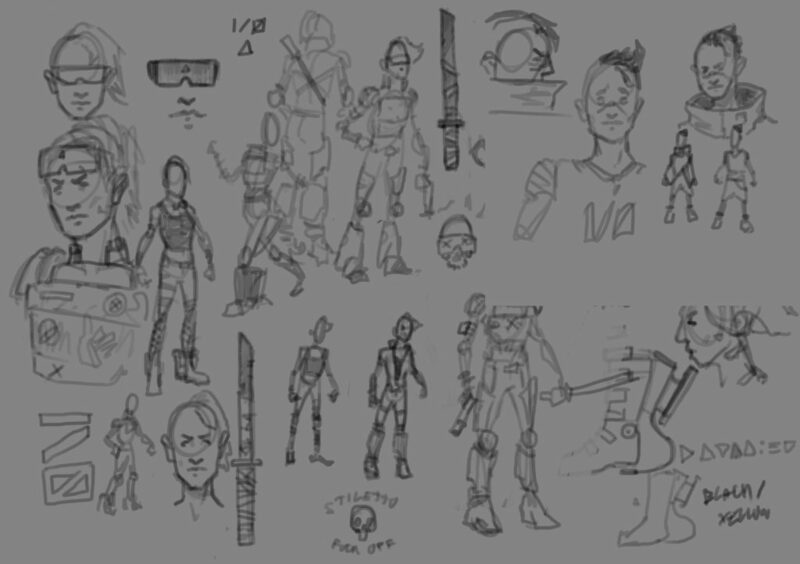 More sketching as Shinji starts to take shape. As I’m sketching I consider Shinji’s story and personality, I try to find ways to show his key characteristics. 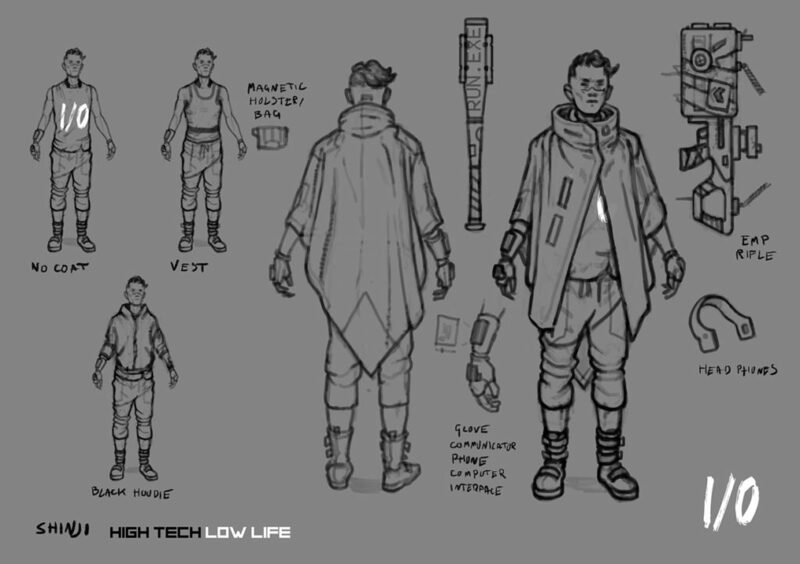 He’s an obsessive tech wizard, he’s dirt poor, he’s a gamer, he likes baseball and he lives in a nightmarish dystopian future. Sometimes I’ll create a wee mood board, just to remind myself of the general feeling of this character. 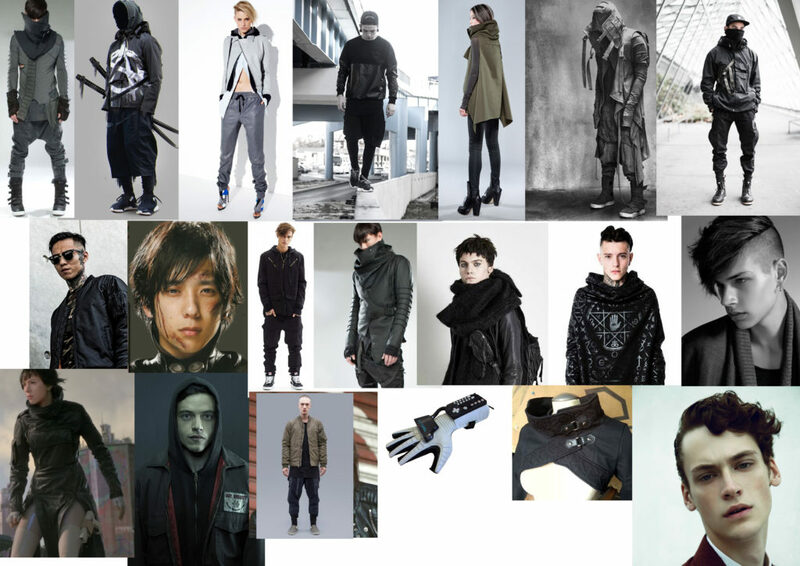 So this was my mood board to remind me of how to think of Shinji. Once I’ve got a good idea of how I want him to look I’ll do a final character turnaround for him. Paying close attention to the script at this point to make sure I don’t miss any details or accidentally create some kind of plot hole. A similar process for Stiletto here. Finalising sketches, another mood board and then getting down the details. 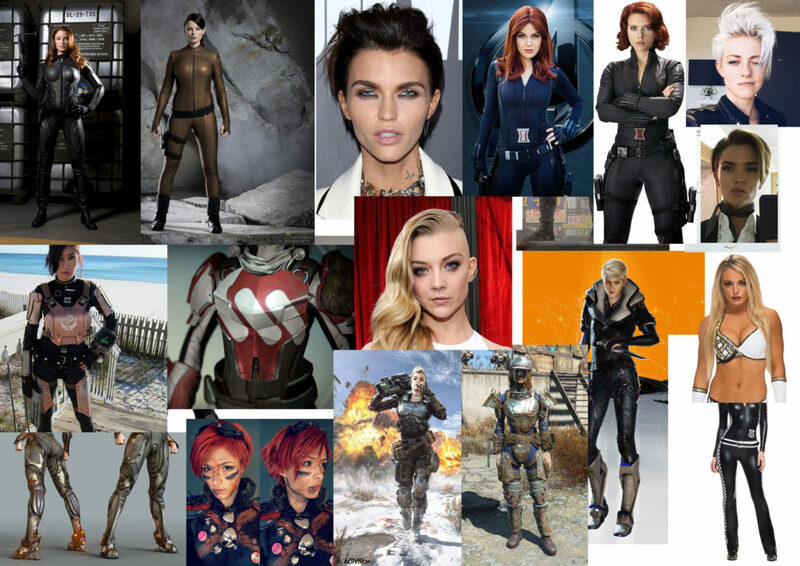 You can see from the mood board some of the thoughts and influences I had for Stiletto. I wanted to reflect that she was successful, rich, a violent experienced combatant and a famous celebrity. So I’m thinking somewhere in the venn diagram of future solider/ professional wrester/ reality TV show celebrity. 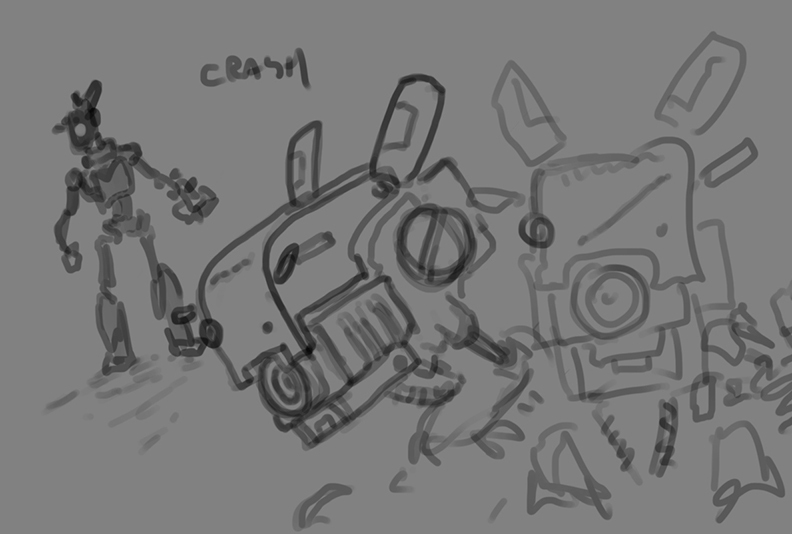 Some of the sketching and detailing for Crash, our sentient machine pal. Important thing I was going for here was expression. Crash needed to be able to express himself and show that he had some life and personality. Like all the best TV/Movie robots, he needs to have some kind of means of expression and personality in order to be able to tell his story. 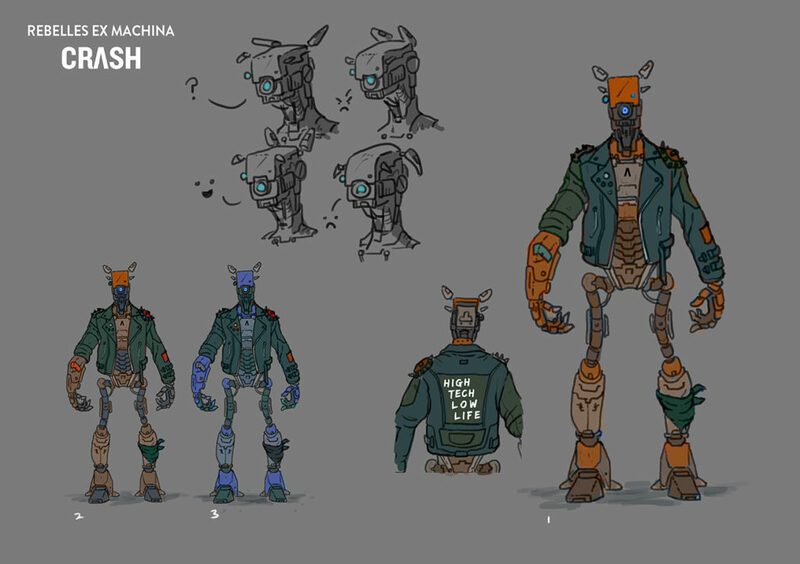 Crash takes a big of influence from the sentient robots we all know from film and TV, like Wall-E, Johnny-5, Chappie, Robocop, Mr. Data and a thousand anime mechs. These are some colour passes and experiments, making sure that I get these right and set the correct tone for both the character and their story. 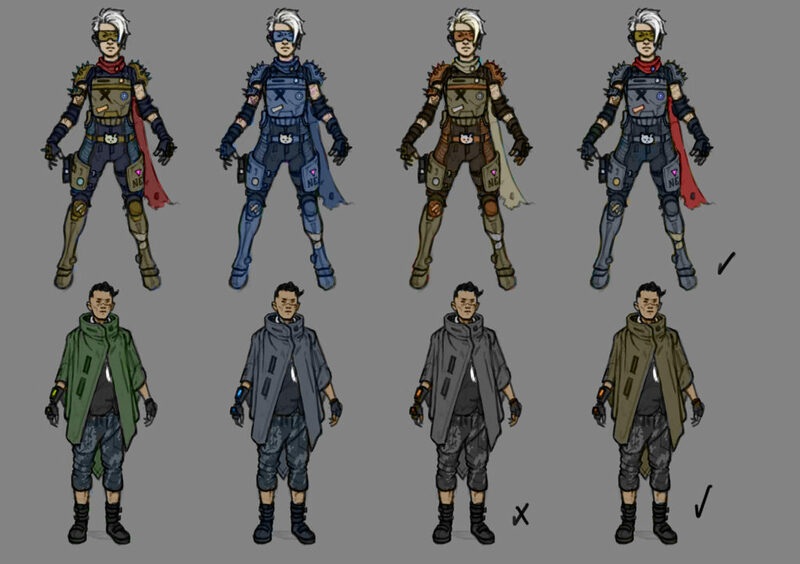 With all the reference and info down, I then went on to make the first character promo images that you’ll have seen on the Facebook and campaign page. 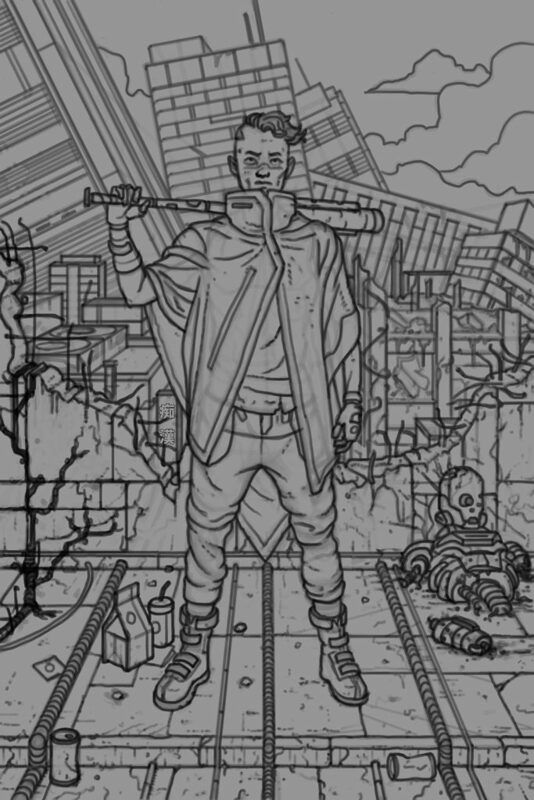 If there’s interest I could do a follow up post on the steps taken to draw and create the promo art, or perhaps I could even do a step-by-step on how I make a Killtopia page. Thanks for reading guys, hope this was interesting. Can’t wait until you get to see the final book. Give me a shout if you’ve got any questions on my process or on art stuff in general.